Doesn’t camp look pretty right now? And all of you in the northeast thought you had it bad with the snow this past month, huh? It has accumulated all the way up to the top of the bushes in front of the dining room here. Pretty wild, huh? Sure hope it melts by June! (Ha!) Enjoy! 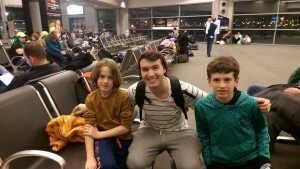 While overseas in Tel Aviv, Israel, Ethan & Chase Mundell ran into Jacob Harelick at the airport. See, ILC friendships are truly those that will last a lifetime throughout the globe! 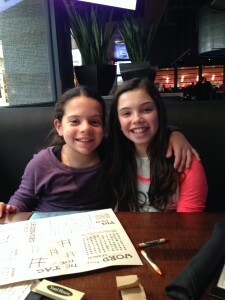 You will run into camp friends where you least expect it at the most random of times and places in life,…and that rocks! 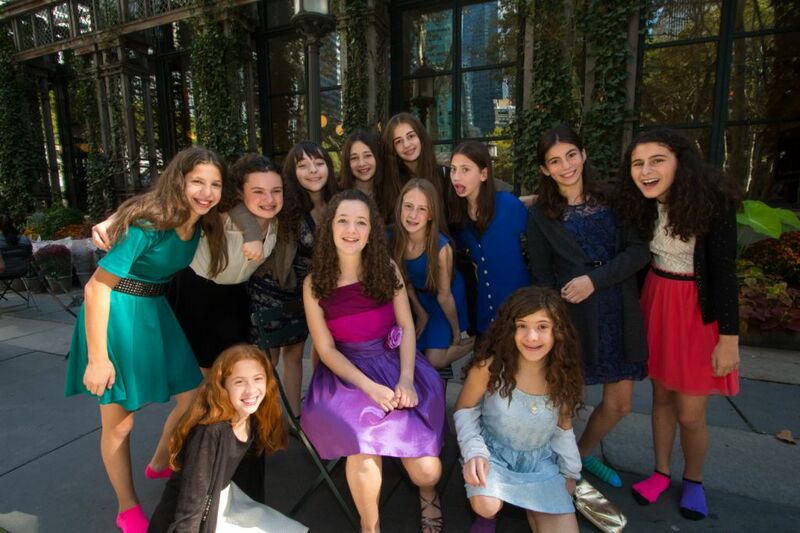 Sara Binday recently celebrated her Bat Mitzvah with just about everyone from her bunk last summer. 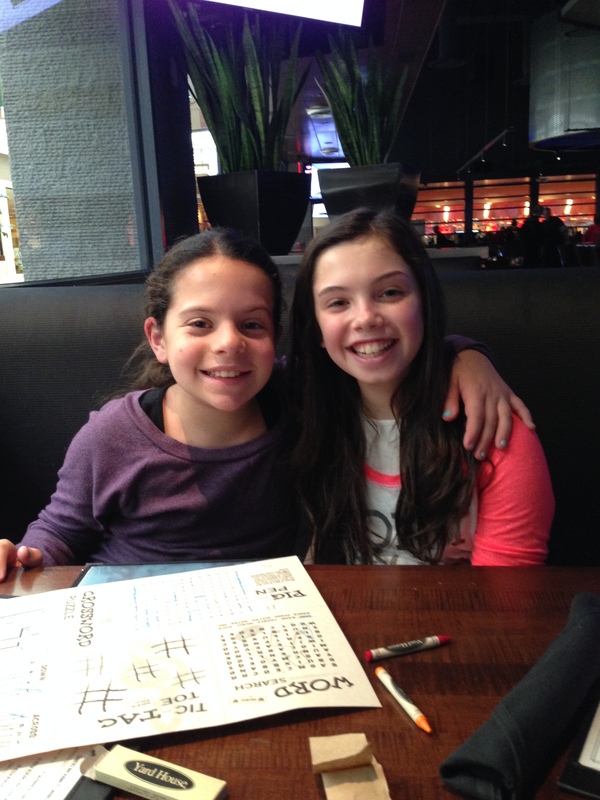 Mazel tov to you, Sara! We’re sure your camp friends made your day extra special and fun! Sam Kasmin recently spent some time with Jason Kaufman and with Trey & Dustin Stabinski in sunny Florida. It’s really nice that Sam travels to see his camp friends throughout the winter months. We hope you had a blast with your bunkmates and their families, Sam! Everybody up, everybody up, up, up! Rise and Shine! It’s a beautiful day in Starrucca, PA! The birds are singing, the sun is shining, the grass is growing. Everybody out of bed. Breakfast, in 10 minutes,…see you there! Now that we’ve gotten your attention,…although it’s only February and the Northeast has been pounded with tons of snow and cold temps these past couple of months, camp is constantly on the brain for all of us in the Island Lake offices. We love hearing from all of our campers and staff, whether it’s via email or social media. Trip and Dustin are in the midst of their college recruitment tour, seeing lots of previous staff and hiring new fantastic counselors for this upcoming summer. 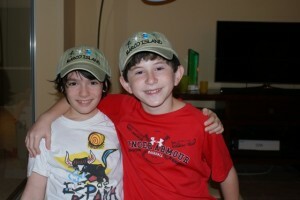 No time better than the present to send us your thoughts about your Island Lake experiences. We’d love to hear from our campers and staff, returning and new, with information that we can post here on our blog. Why not take a few moments to sit down and email us in your warm, cozy homes, whether it’s shout outs to your friends, memories of previous summers, poems about your camp experience, or anything else camp related? Let’s take a quick trip down memory lane,…remember opening day when you first arrived at camp, jumped off of your bus, and ran into the arms of your counselors and friends? Watching you all scream in happiness as you embraced your special Island Lake friends is a familiar experience we love to reminisce. Evening activities (did somebody say “Revival Night”? ), Lazy Days, special events such as Tribals, 4th of July, and everybody’s favorite, COLOR WAR,…oh so many memories, we can’t even begin to list them all. But you can! We’d love to hear from you so you can tell us what you love so much about Island Lake. Is it the camp directors that you love so much? (Haha- sorry, I couldn’t resist!) What camp memories are you daydreaming about while you’re in class? How often do you look through your camp photos from last summer? How much time do you spend on the ILC Facebook, Instagram, Twitter, and Pinterest pages? How many online group messages do you have going with all of your camp friends? Have you gotten together with fellow ILC’ers this winter? What are you looking forward to most this upcoming summer? We want to hear what YOU have to say! Email us at wendy@islandlake.com or info@islandlake.com and we’ll post your messages here on our blog as well as in our Island Laker newsletter. Until then, only 137 days our Island Lake family will be together once again! ILC U THERE!!! Who: All Island Lake Alumni over the age of 21. Alumni’s children are welcome, as are husbands/wives. Cost: No charge. You just need to provide your own transportation to/from camp and bring your own linens. RSVP: Email Wendy at wendy@islandlake.com to RSVP. Saying you’re attending on our Facebook events page is not an official RSVP and you will not be added to our list. Please email Wendy directly. We would love to see all of our alumni at the reunion to celebrate this special milestone with us. ILCUTHERE! Happy February! As we sit here in our winter office looking at the snow outside of our windows, it feels as though summer 2014 was all a distant dream. However, our summer 2015 countdown has already kicked into gear and lucky for us, camp will sneak up on us before we know it. Our camp reunion on November 22nd was a huge success. Check out our reunion photos posted right here on our website homepage! For those families who registered for camp prior to December 1st, by now your children should have received their special edition ILC t-shirt. We hope your kids love their new addition to their wardrobe and enjoy wearing their shirt to school with pride (and perhaps a long sleeve under it to keep them warm!). We are busy preparing for 2 big trips that we are now offering to all of our oldest campers and CITs this upcoming summer. Firstly, we are offering our 1st annual TEEN TOUR to all of our CIT-age kids entering 11th & 12th grade in the fall of 2015. This teen tour will include traveling around the west coast of the US of A, visiting cities in states of California (San Francisco, San Diego, Los Angeles), Nevada, Arizona, and more! We guarantee that this is going to be a lifetime experience for all of our CITs who take advantage of this amazing trip. For more information check out the flyer enclosed with your January newsletter in the postal mail or simply give us a call at our winter office and we’d be happy to answer any questions you may have. Our 2nd trip is our annual 4 day/3 night TEEN TRIP that will be visiting Boston, Massachusetts this summer in our 3rd session. This Boston trip will be offered to all campers entering 9th grade and higher. 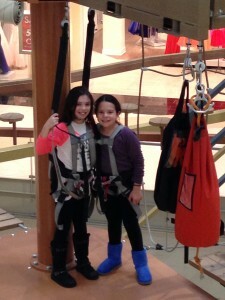 Check out more details about this fun-filled experience in the mailing we recently sent out to all who qualify to go. There is an enrollment form for you to fill out and return to us at our winter office. Not only will we be visiting Boston but we will also take a day trip to Martha’s Vineyard. So,…much,…FUN!!! A reminder to our summer ‘14 and ’15 families; don’t forget to read our monthly newsletters. You can access them here on our website, as well as in your postal mailbox at the start of every month. Our newsletters provide important information for parents as well as campers, including enrollment and availability updates. Speaking of enrollment, if you have not yet registered your child for summer 2015 but plan to do so, please, please, please do not put it off any longer. Some bunks are now completely full. We truly do not want to turn away loyal campers so let’s avoid that from happening. You can register your child with the registration form mailed to you with your newsletter or you can download the form here on our website under “Island Lake Families” and then “Forms & Mailings”. It only takes a few minutes to fill out the registration form, we promise! To all current Island Lake families, we look forward to an amazing summer 2015 with your children. To all prospective families, feel free to contact us if you have any questions after browsing our website: 800-869-6083 or 914-769-6060. And last but not least to one and all,…ILC U THERE!